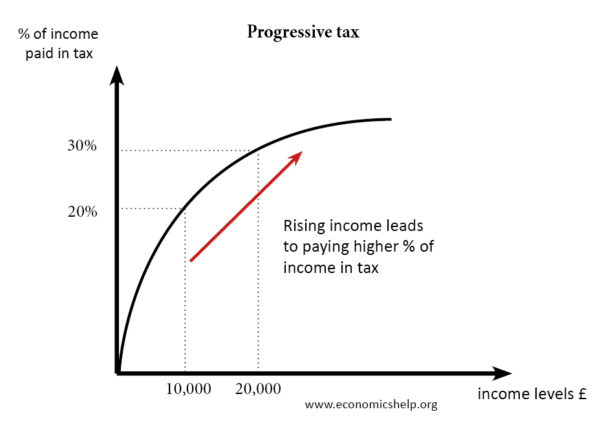 Income tax – This a tax on people’s income. The basic rate of income tax is 20%, paid on income over the income tax threshold of £10,400. National insurance contributions. Another type of income tax is national insurance contributions, which are based on a similar principle of taking a certain percentage of income. 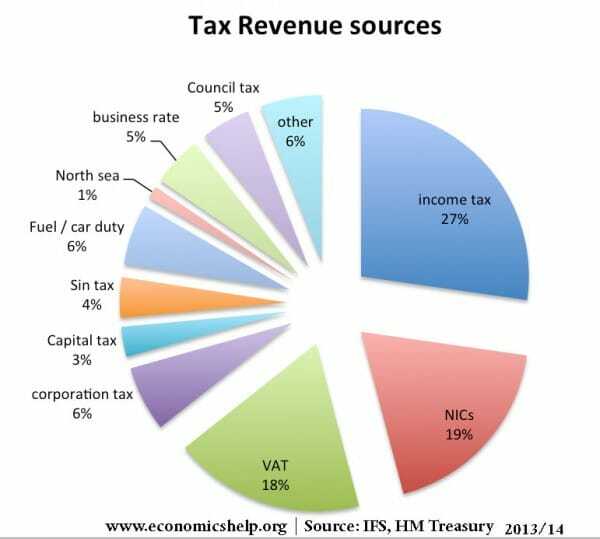 This shows the biggest source of tax revenue is income tax and NIC (a form of income tax) – these raise 46% of total tax revenue. This shows that income tax is rising as a share of tax revenue. Fuel duty is falling from 2000 to 2018. 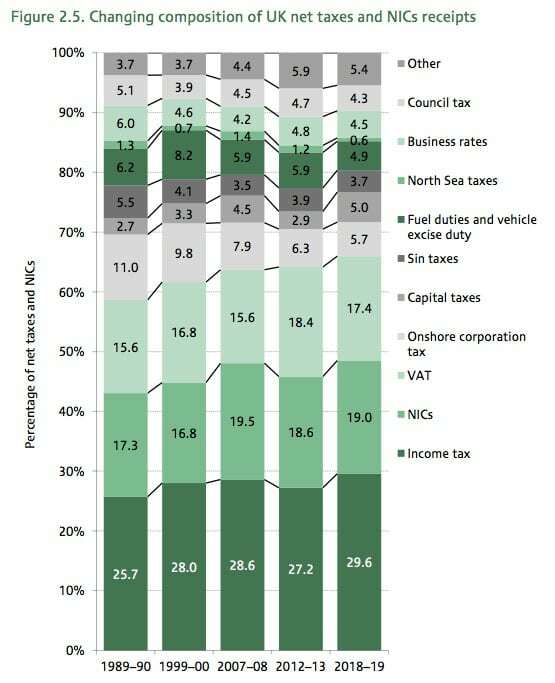 Why is it getting more difficult to collect tax? – Reasons for falling tax revenue. How much is income tax? You pay 0% on your Personal Allowance of £11,000. 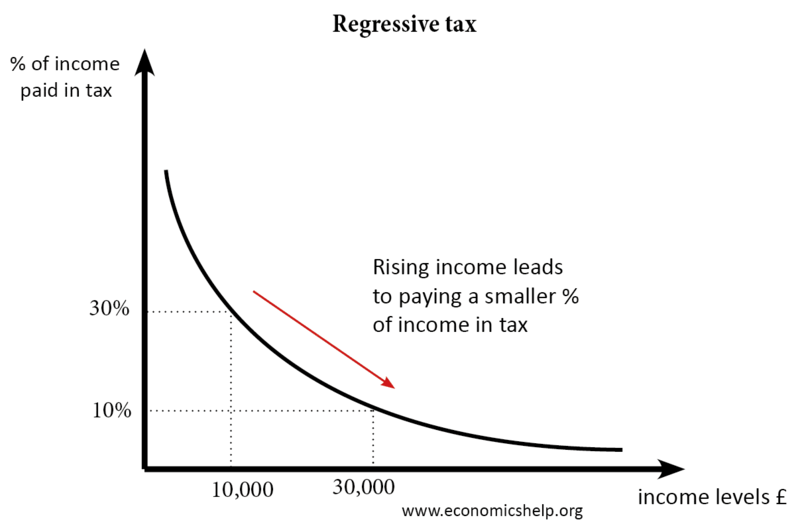 This occurs when an increase in income leads to the same % increase in tax. Direct taxes are collected at source. For example, under PAYE when an employer pays you income tax and NI’s are automatically taken off. When we buy a good, we pay the VAT indirectly. It is the responsibility of the firm selling the good, to give 20% of selling price to government. Horizontal equity. People in the same circumstances should pay the same taxes, e.g. you shouldn’t be able to avoid paying income tax because of a particular situation. Vertical equity. A degree of proportionality is important, e.g. progressive taxes. Raise revenue for government spending. To promote redistribution of income and wealth. This is a progressive system of tax and benefits designed to reduce relative poverty. Those on low incomes are a given benefits, as income increases, the benefit decreases. 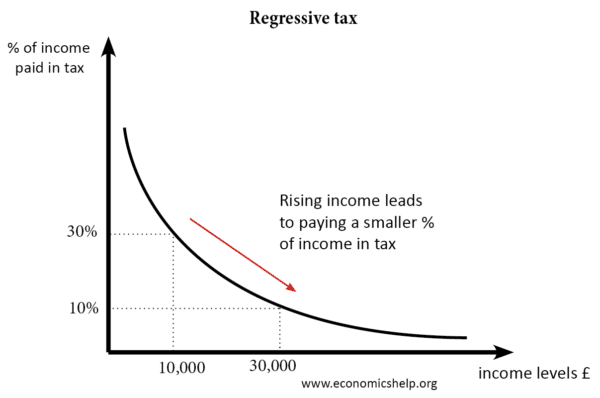 After a certain level of income, people will start paying tax. Sugar tax – is it a good idea?